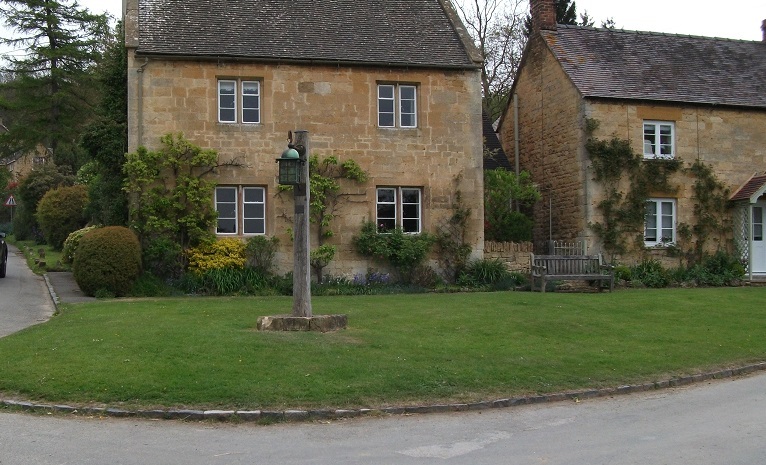 Today my walk was from Broadway to Winchcombe, about 12 miles. The weather forecast was for a dry day, but not too much sunshine. In the event, it did stay dry all day. It was quite cold but the walking soon warmed me up, although the wind was bitingly cold in exposed areas.The day comprised two stiff hill climbs and descents with other more pleasant walking across fields and through woods. 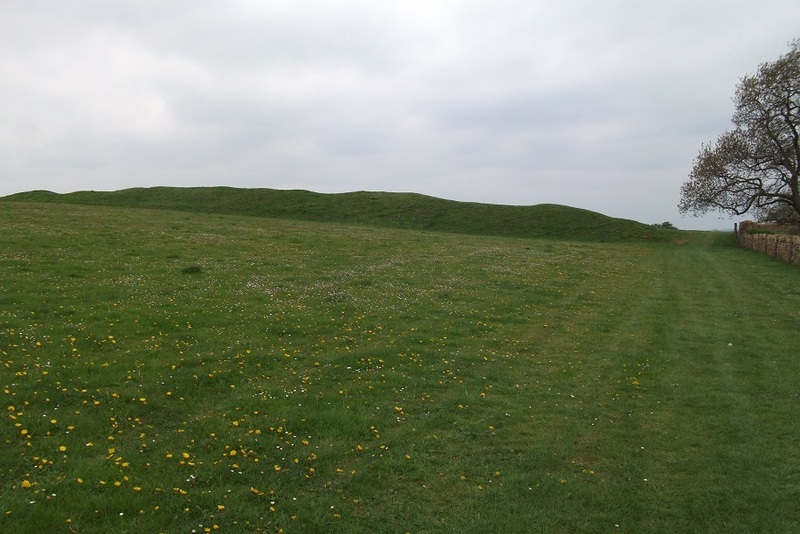 I left Broadway by the Snowshill road and then using tracks and footpaths went slowly up hill to Shenborough Camp, the first of many Iron Age sites that I will pass on my way to Bath. 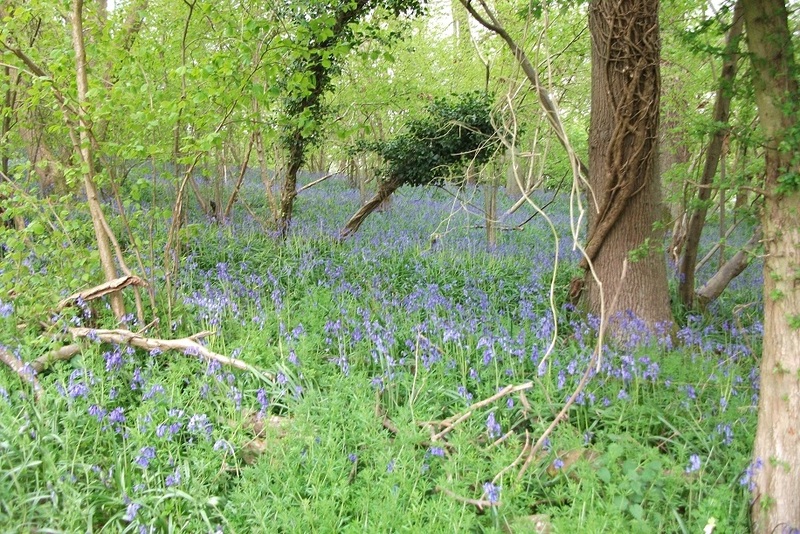 There were lots of bluebells in the woods as I climbed. 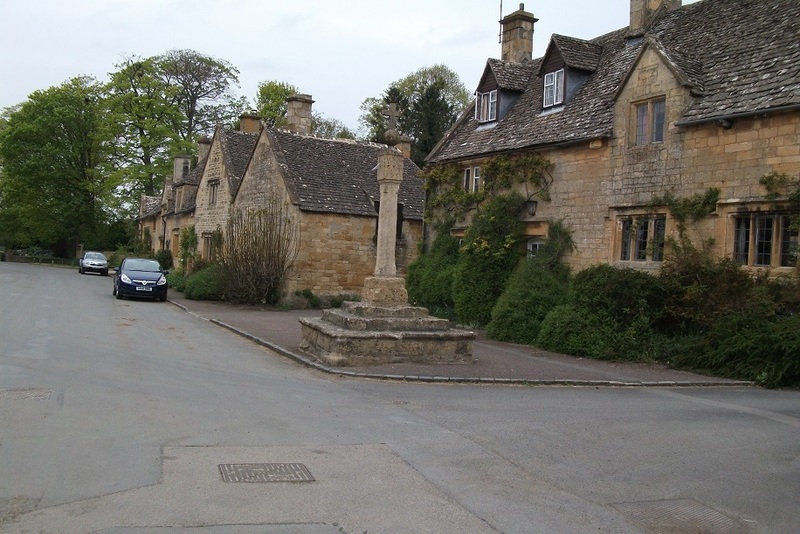 The steep descent took me into Stanton, a quintessentially Cotswold village, unspoilt, as it is not on a main road. 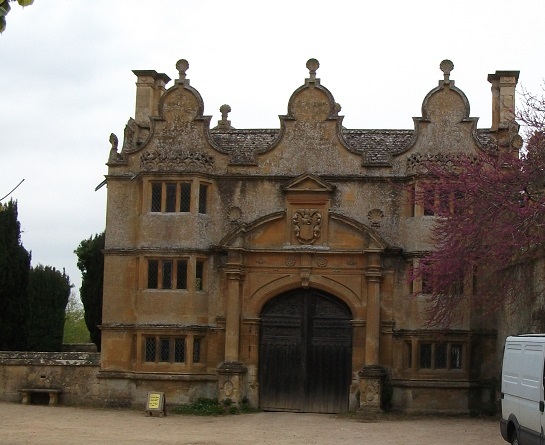 From here it was a walk across farmland to Stanway. All along the route there was livestock, predominantly sheep with lambs large and small; there were also cows with calves, and horses. 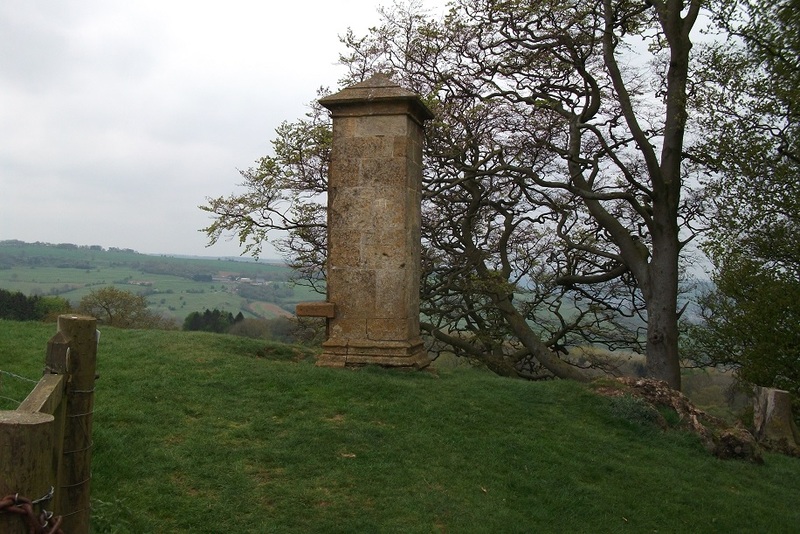 From Stanton to Wood Stanton it was easy walking but then it was a climb, first to Stump Cross, and then to Beckbury Camp, another Iron Age fort. 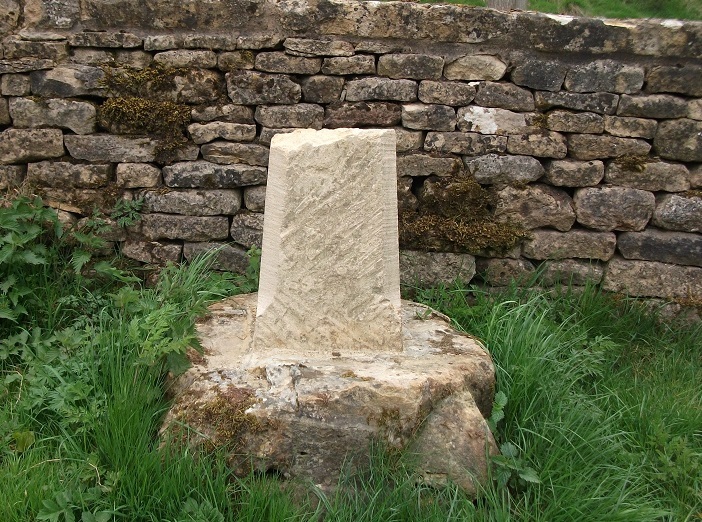 I passed a stone monument before descending to Hailes Abbey, and then over fields to Winchcombe where I waited for Edwin to pick me up as I was far too early for a bus back to Stratford. Some of the views were spectacular, particularly with the lowering black skies. On a sunny day they must be amazing.